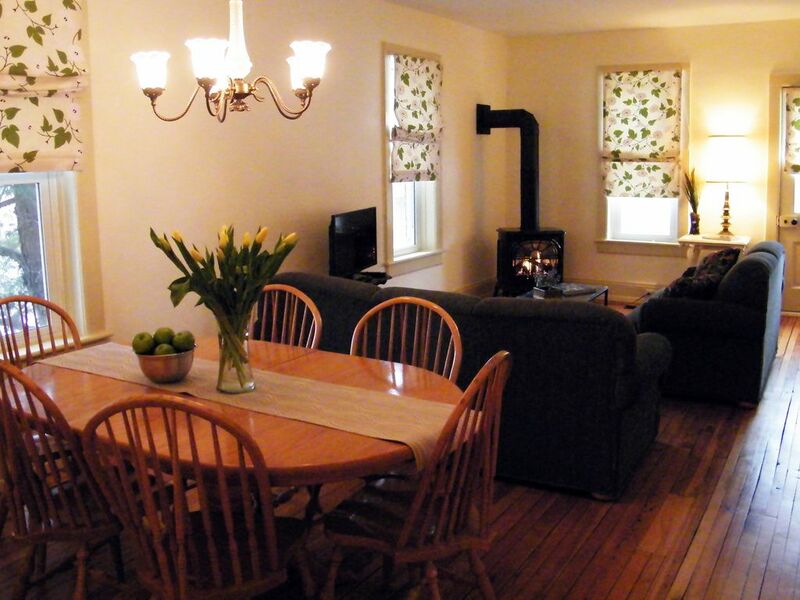 Twelve Elm Guest House is a newly renovated century home complete with all the comforts. Stroll through historic downtown Huntsville, canoe/kayak the Muskoka river and nearby lakes or enjoy fine dining in one of our world class restaurants - you won’t be disappointed. Book now for that winter holiday - close to x-country ski trails and ice rinks - plenty of room to park trailers and snowmobiles in our large oversize lot. Twelve Elm offers a spacious, fully equipped kitchen, two bedrooms and bath, cosy living room / dining room and all the charm of a century home, complete with gas fireplace and outdoor patio. Swim, cycle, ski or skate at nearby Arrowhead and Algonquin Parks, take in a play or concert at Huntsville’s Algonquin Theater, browse through the shops and Farmer’s Markets , enjoy a round of golf or simply put your feet up and relax. We offer free internet, Netflix, and plenty of parking. Enjoy our natural setting right in the heart of town. Al and Linda have lived in Muskoka for over 25 years. We enjoy the natural beauty, are outdoor enthusiasts and appreciate all that the town of Huntsville has to offer. Twelve Elm is a quaint, century home on a large, double lot right in the heart of downtown Huntsville. It is a five minute walk to shopping, restaurants and the downtown core yet the view out every window is treed. A short drive to ski hills, hiking, golf, lakes and camping, Twelve Elm is a perfect location. Seats 6. Smart TV with internet and NETFLIX. Gas Fireplace.